by Daniel Quinn, Michael Mccurdy | Outdoors & Nature | This book has not been rated. Ha! 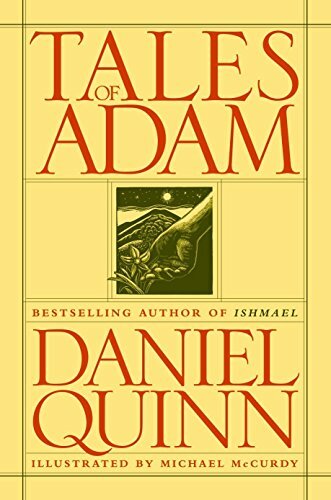 A new Daniel Quinn book, the author whose books changed my life. Adam shares his wisdom, his knowledge of the world he is part of, with his son Abel, in a number of stories. What a peculiar choice of names, since there is no mention of remorse, of being punished for sins and being kicked out of paradise. Instead he feels his life to be cradled in the hands of the gods. I am an animist, too. This book is back home, for further reading.